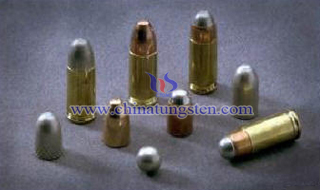 Why is Tungsten Small Caliber Core? 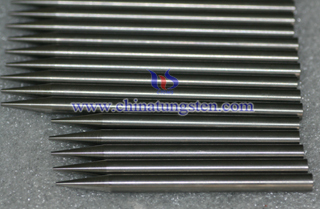 Tungsten small caliber core is manufactured by powder metallurgy technique with some complex process. The main manufacture process is mixing, de-waxing, pressing, sintering, machining, and then move to surface control if there is a need, such as electroplating, engraving, etc. 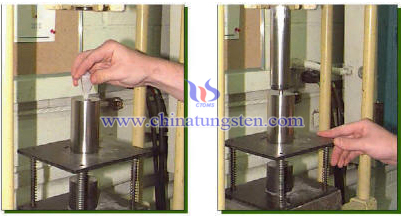 Heat treating is very necessary to achieve the appropriate properties for tungsten small caliber core, elongation would be improved by that process. The combined processes of mechanical interlocking and "cold-welding" bond the metals together, and can be varied to control the properties of the non-lead core. 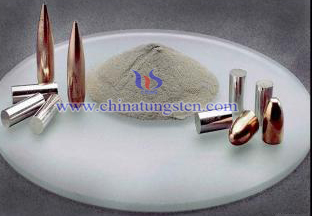 Tungsten small caliber core can be pressed directly to shape, or cores can be produced that can be swaged into projectiles, with or without jacketing. So swaging is another important process for reaching a higher hardness at least 40HRC, meanwhile, ultimate tensile strength could be also increased to at least 1050Mpa. If the properties are needed higher, some of the processes would be adjusted. 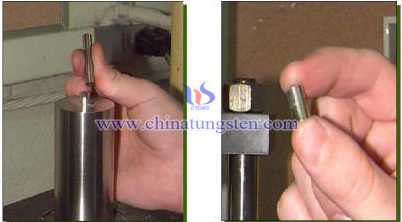 If you have any other questions about tungsten small caliber core, please feel free to contact us by email: sales@chinatungsten.com or call: 00 86 592 5129696.